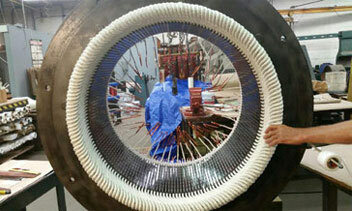 As our name implies, we are experts at overhauling and repairing electric motors. All motors received are subjected to a detail-receiving inspection, complete diagnostic test (when appropriate), and electrical analysis. 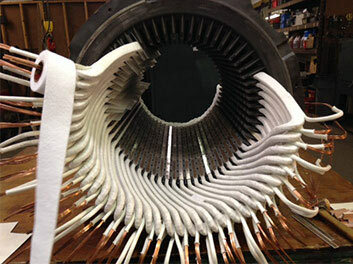 Not only are all of our rewinds upgraded to class H insulation, they are computer verified to ensure electrical and magnetic parameters are within manufacturer's limits. Finally, a post-overhaul/repair test is completed to ensure that temperature, output voltage, amps, RPM, and vibration limits meet the required limits. All rewinds are in accordance with NEMA and IEEE standards. Our capabilities include AC motors up to 5000HP and DC motors up to 2000HP.